Parents are busy and often there isn’t a huge budget for kids clothing, especially as kids get older and want to choose their own clothes. So what are your options for buying clothes without having to worry about what, where or who got hurt making them. At the end of this post we share a few links to helpful websites. We see organic baby clothing shops frequently online and popping up in affluent high streets, yet in reality babies and toddlers do not need brand new clothes – they wear them for just a few months. 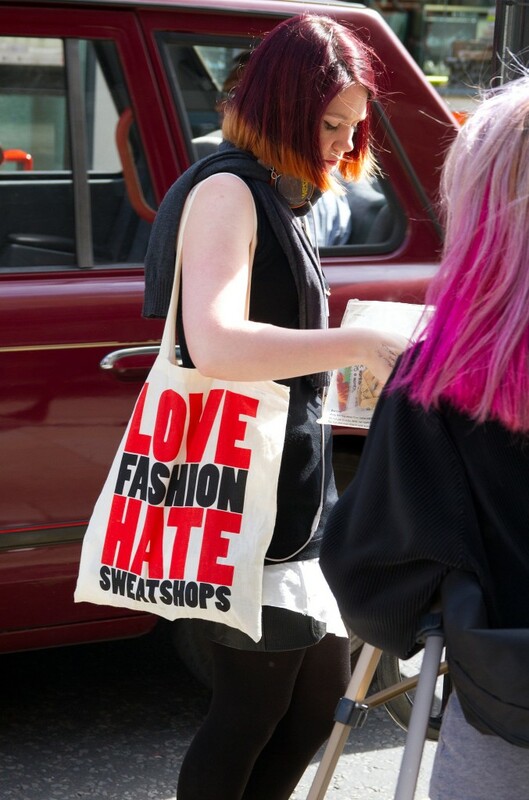 Teens and tweens can be really difficult to buy for, even more so when you are keen to ensure that you are not supporting sweat shop fashion (please take a look at the Love Fashion Hate Sweatshops Campaign). 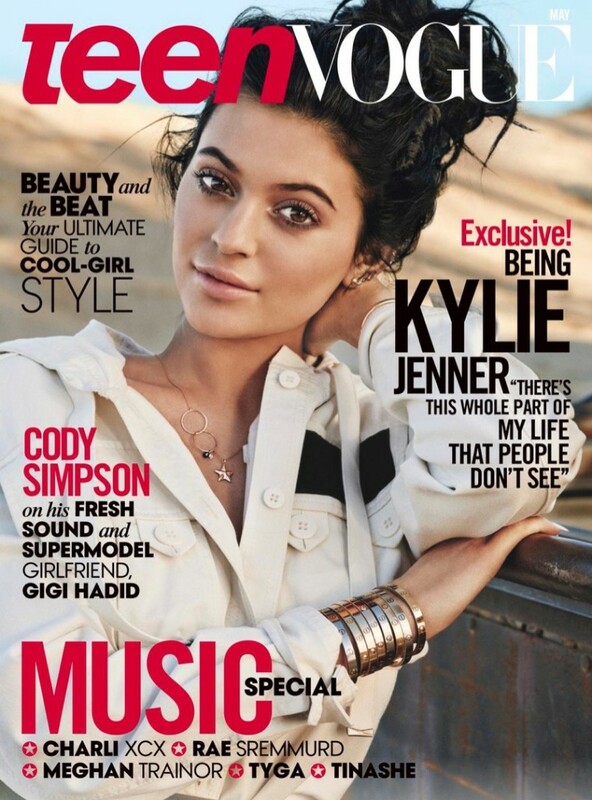 Teen Vogue May 2015 cover – celebrities, trends, supermodel girlfriends and “Your ultimate guide to cool girl style” but where does it mention rocking those hand-me downs from big sis!? Obvious and far and away the best, cheapest (free) way to clothe your kids, especially little ones – but not all parents are lucky enough to have cousins, siblings or friends who are able to pass down clothes. Our next ‘go to’ for kids clothes option would be looking around your local charity shops or online – there are loads of people who would just like a few pounds for a bundle of clothes or those that willingly hand all their still in very good condition clothing to charity shops. But where are all the second hand clothes for tweens and teens? Here’s a snap shot below of a search for kids clothes which shows the availability of second hand clothing on ebay – the category 13 – 14 has just 16 items in the whole of EBAY UK! 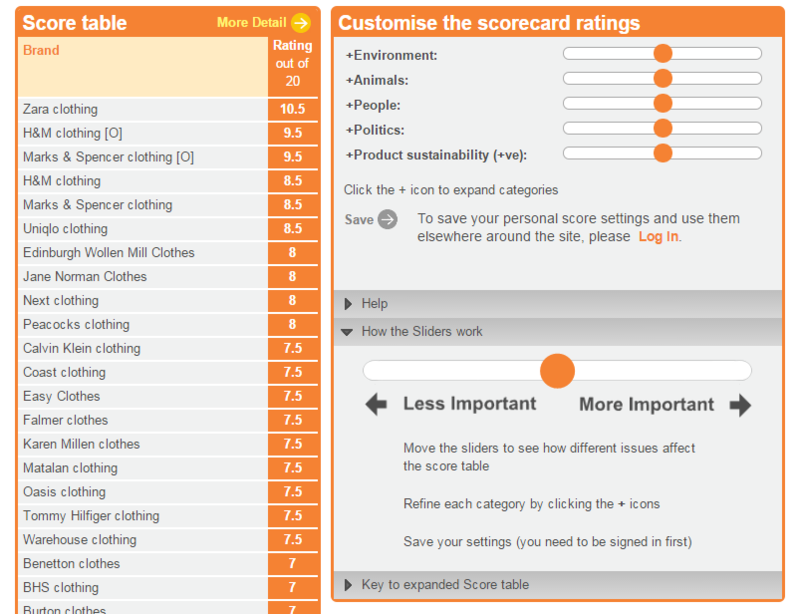 Yes, there’s bound to be more that do fit them in ‘unspecified’ but it just shows clearly how the amount of second hand clothing suddenly reduces after about 6 to 7. Is this due to the fact that kids wear through clothes so they get thrown away not donated / sold or perhaps more likely that because of kids becoming more picky about clothing once they get over 10, that parents tend to take them shopping on the high street instead? Do you give tween or teen clothing to charity shops or sell online or does it have to go into the fabric recycling bin instead? Or is your local charity shop full of clothes for teens? This would be idyllic wouldn’t it – to have the time to make all of your kids clothes… ok not even just the time but the talent and ermmm… the willing kids? We are not all born fashion designers or sewing experts (or indeed do we have access to expensive interlockers that are needed for a great finish) and a tween or teen will not (in our experience) be overly keen on wearing a slightly ill fitting party dress/t-shirt/hoodie that you made from an old pair of curtains or their father’s old sweater. Sometimes kids grow… well quite often actually. So the whole Make do and Mend mindset which we can lovingly apply to our own clothes doesn’t work in quite the same way. When they grow out of a t-shirt or a pair of trousers the options are to sell, donate to charity or pass on to a friend or member of your family. All we ask is that no-one ever knowingly throws away something wearable. If you are a dab hand with a needle and thread you could look to transform clothes picked up in a charity shop that could be tweaked to fit your teen. Learning how to hem a pair of jeans (really well so they don’t even notice by keeping the existing hem) could save you lots of money. It’s a skill well worth investing in learning (especially if you are short yourself) – see this tutorial here. You can also find lots of video tutorials for altering clothing on you tube. If you normally shop on the high street for your kids clothes, we’d like to direct you to the fabulous Ethical Consumer Magazine who have an ‘Ethical High Street Shops’ leader board for 57 high street shops. It makes for pretty miserable reading, the lowest by the way is ASDA (at the time of writing) but at least you can support those that are topping the leader boads here if you can do nothing else. Read our post about how we all vote with our wallets, supporting businesses and their decisions by continuing to shop with them. 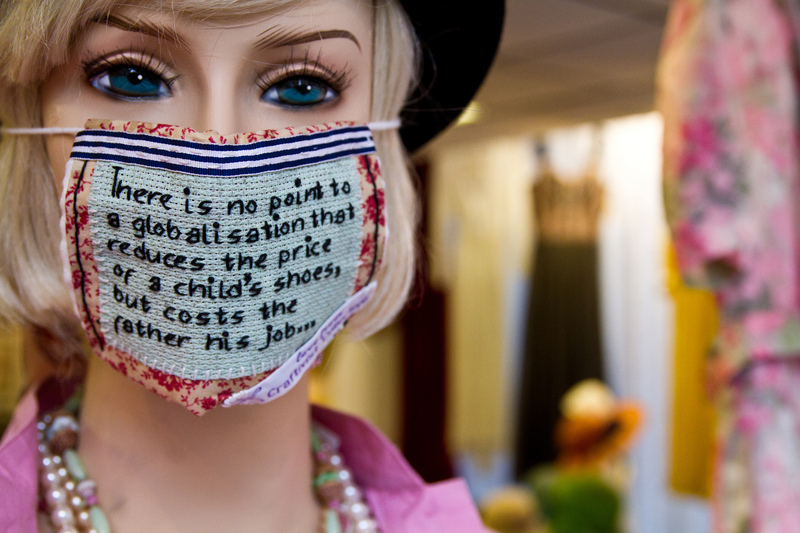 So, Where Can You Find Ethically Sourced Clothing for Older Children? Where do you shop for tween and teen clothes that have been made without damaging the people who make them or the environment? Please share any shops or links to directories you have found that we could add to this list. The Guardian has a great list of ethical kids clothing shops here. Blisstree has an article which resonates with exactly what we have found whilst researching ethical clothing for teens and tweens – it’s full of useful links! OneKind.com has an article with some useful links written by a teenager on the topic of finding fashion that is ethical for teenagers. Here is the trailer for a very powerful film ‘The True Cost’ – launching tomorrow the 29th May 2015 – we urge you to watch. It is rated PG13 as it shows some quite harrowing scenes about the ugly side of fashion. You may want to watch the film with your teens, it might help you with knowing what to look for and what to avoid when buying clothes and hopefully it will help to educate your young consumers to grow to become curious customers. 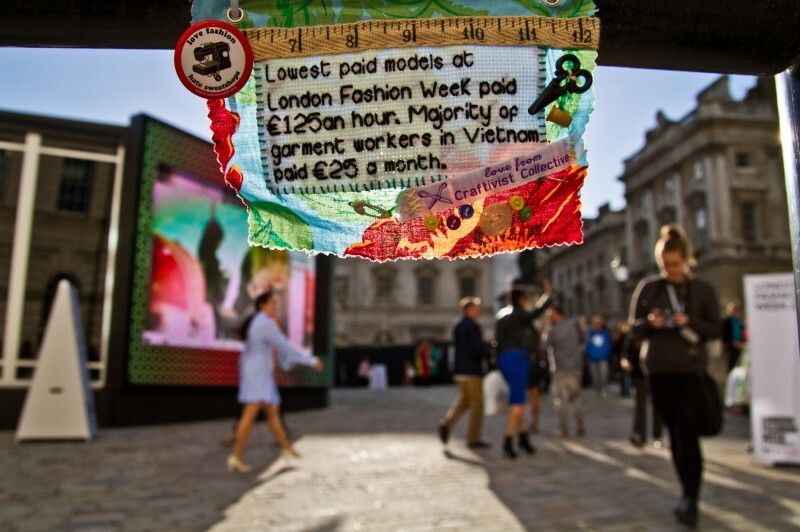 What is the answer – How can we eradicate the ugly side of fashion? There isn’t one specific answer, but instead a few options for how you can help by trying to shop ethically and avoid sweat shop fashion. You can buy second hand as we have mentioned, but we should also buy into ethical companies where we can afford to. We could become shareholder activists with a company we want to change from the inside. We can ask our Goverments to put in place rules for living wage. We can ask global companies and institutions to put in regulations so garment workers and the environment are treated with respect. The Craftivist Collective uses gentle but powerful acts of craftivism to reach out in a new way to leaders, politicians and global companies. We believe that you don’t have to be a placard waving campaigner, marching and shouting to make a change and get people engaged in acting against the injustices of our world. Our approach is different, find out more about the Craftivist Collective approach here – and please leave a comment if you have found this post interesting or inspiring, or you have any advice for parents on the hunt for ethically sourced clothing for their older children. I do make clothes for my teen, it is trickier as they get older.. My teen loves the Jack Wills so I’ve made shirts, skirts and loads of Pj bottoms. I do donate all the clothes that are in good condition to my local charity shop and thoes that arn’t, wrap up and take along for the ‘rag bag’. I’m lucky in that the girls are aware of the ethical side of fashion and I’ve learnt so much from them. Burda do quite a few patterns for teens although not so much choice for boys. Nice post…… It is a useful post for parents to buy trendy clothes for their children…. after reading the given detail I have come to know about different shops of kids clothes and I have known about lots of brands….. parents can easily buy prevalent clothes for their children from this site……. thanks for giving us lots of knowledge about Ethically Sourced Kids Clothing for Tweens and Teens. So happy to have found your site. Ethical clothing for kids is sometimes hard to find, so seeing all your tips is refreshing. What a wonderful kids collection and the variety that has been mentioned here specially targeting the teens. My kids are 9 & under. They still wear mostly garage sale or hand me down, with exceptions of socks, undies, mittens, sometimes shoes, gifts and handmade stuff. Begging the grandmas to patch for me. But yes. ….way harder to find bigger sizes! I need time.. .so I can learn to sew & recreate. Hoping my kids will find their own s s tyle vs fast fashion.